Game 1 of the 2012 World Series will be remembered for many things, like Pablo Sandoval's three Home Runs (two off Justin Verlander), and who it puts him alongside in the history books. But there was another significant hit off Verlander, when Barry Zito slapped an RBI single to left in the bottom of the 4th. Zito was 4-53 (.075) at the plate in the regular season, but had been maligned since his arrival with the Giants, for other reasons. 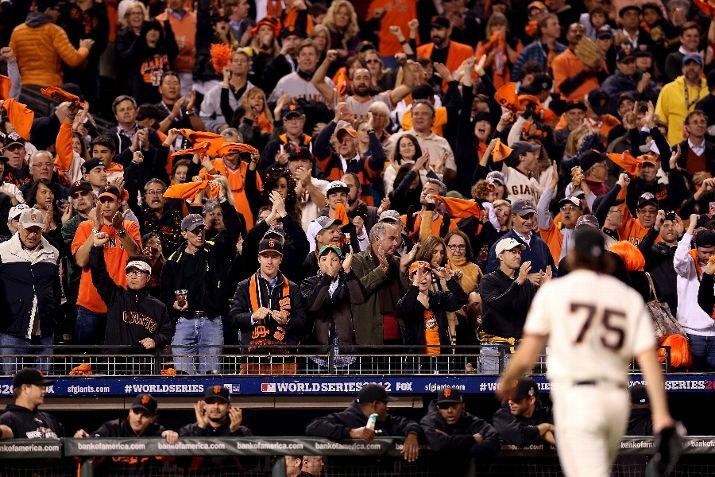 It's because Zito signed a 7-year, $126M contract with the Giants on December 29, 2006. And since switching sides of the bay he had been a colossal bust. But there had been a time when Zito seemed like a can't-miss investment. When Oakland had Zito, Mark Mulder, and Tim Hudson way back at the turn of the century, they were that decade's answer to Maddux, Smoltz, and Glavine. They were backbone of the A's success, while Moneyball supplemented them. In 2002 the A's won 103 games, it was the pinnacle of those teams. 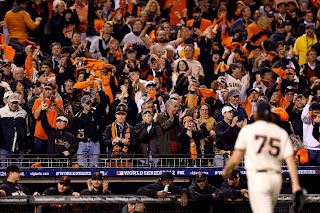 Barry Zito won 23 of them and dazzled his way to a Cy Young award. But they lost in the ALDS for a third straight year, this time to the Twins instead of the Yankees. It got Art Howe fired. The Twins lost to the Angels in the ALCS, who eventually won the World Series by rally-monkeying past... the San Francisco Giants. Life is a circle sometimes. While Zito will likely never justify the $126 Million that was spent on him, he never quit trying to earn it. 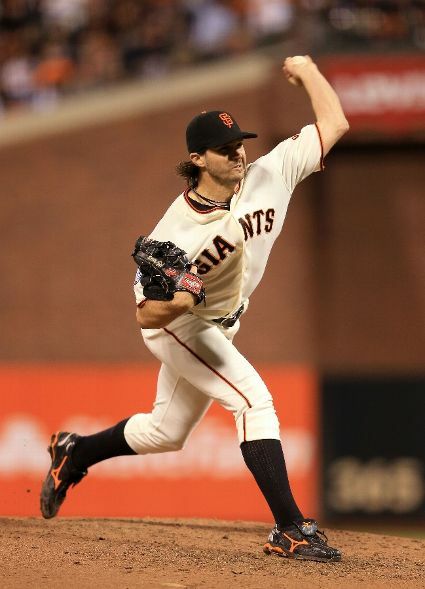 Zito went 43-61 in his first 5 years with the Giants and was left off the 2010 playoff roster. But he was a more than respectable 15-8 this season, and has already notched two huge postseason wins. And Giants fans know it. There was an article in Thursday's USA Today, paralleling the Zito contract with the recent money bombs thrown AJ Burnett and Daisuke Matsuzaka. The Yankees committed $82.5M to AJ Burnett, who went 34-35 in three seasons in New York before being exiled to Pittsburgh for the final two years of his deal (Burnett was 16-10 this year). But when the Yankees lost Game 1 of the 2009 World Series, Burnett was brilliant in Game 2 to springboard his team to a championship. Red Sox fans throw their hands up in the air every time Matsuzaka pitches now, but does that nullify him winning Game 7 of the 2007 ALCS or Game 3 of the World Series? Or an 18-3 season the next year? There are sometimes unexpected dividends on dubious investments. You get the feeling Barry Zito's portfolio isn't quite closed.